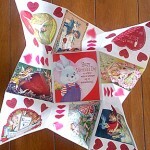 Red River’s greeting card papers are perfect for Valentine’s Day cards but for something really special, use Red River’s 12×12-sized paper to make a Valentine Puzzle Purse that will enthrall your beloved and endear you to them forever. Puzzle Purse Valentines made their first appearance in Jane Austin’s time and were the rage from 1700s until the mid 1800s.Back then, when romance was an art, sweethearts would make these Valentines, add little trinkets and write sweet nothings on their multiple pages. 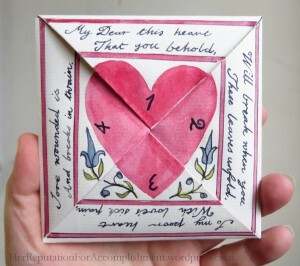 Sometimes they would number them to show the order in which the Valentine was to be opened and read– with the final message in the middle square. Photos of antique puzzle purses show the time (and devotion) that were expended to produce them. Imagine the look on your Valentine’s face when she or he receives and opens one of these. Priceless! A Victorian antique Valentine’s Day puzzle purse . “Sweet nothings” abound and greater surprises await within the folded Puzzle Purse. Print a single or multiple images to begin with. Paper Canvas (shown) and Arctic Polar Luster are good papers to use but don’t hesitate to try other surfaces. Click on image for larger printable version and detailed instructions. 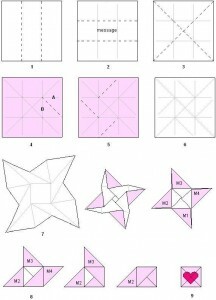 Diagram Courtesy of Origami Resource Center, © 2016. There are many sites that will take you through the steps (see Resources below) and we used several of them to help us make our puzzle purses. 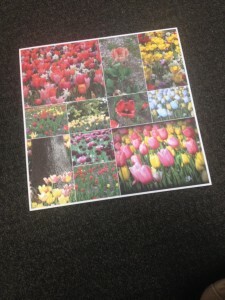 The images you print can all be different or just one large one, just so they fill up the 12×12 space. You can even print a series of abstract designs if that’s what turns you on. 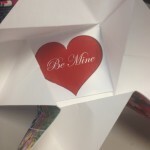 Once you’ve done that, you’re on your way to tackling the folds that will make the purse a unique Valentines’ Day keepsake. Some cracking or wear along the creases may occur on the print and/or paper. I also noticed that heavier paper with gloss coating had more of a chance of cracking. 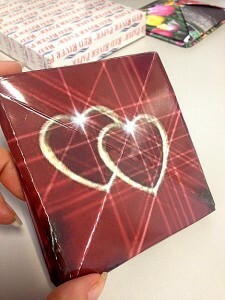 Once completed I unfolded the puzzle and placed a heart with “Be Mine” printed on Polar Pearl Metallic, in the middle. Make sure you set your printer settings to the correct size to ensure it. You may then choose to embellish the puzzle as you choose, whether it’s with elegant calligraphy love notes, Victorian-styled stickers or lace. Puzzle purses are also great to give for birthdays, anniversaries and other special occasions.